The Series 9 Blender Straw 3 Filter from Formatt resemble traditional graduated filters except that they are colored on top with a gradual transition to more subtle color at the bottom. Traditional graduated filters transition somewhere in the middle of the filter. The Blender Straw 3 filter produces a vibrant gold/yellow warming color. 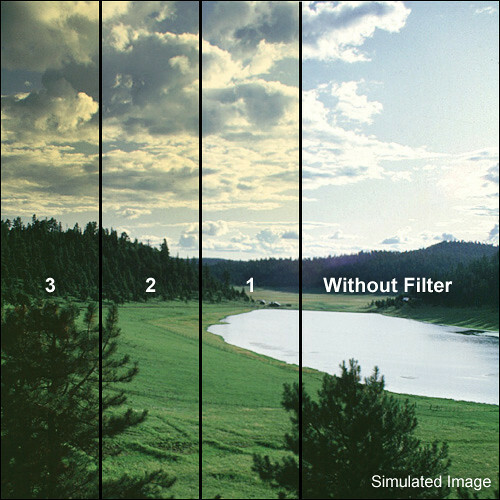 It differs from the Graduated Skyfire filter that is intended to be used for sunsets and landscapes where intense color is desired. The Grade 3 provides maximum intensity for the filter and will add a significant gold tone to the sky.